For a stunning, yet simple setting of elegant blocks, nine is divine. 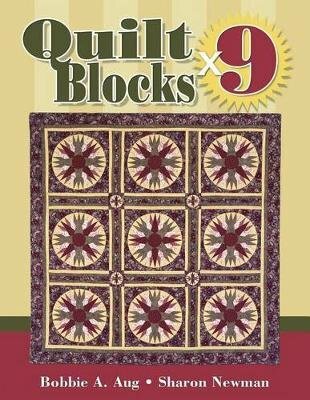 This arrangement of three vertical blocks and three horizontal blocks offers a versatile framework for nearly any type of quilt block. A unique blend of yesterday's and today's quilts is presented with more than 10 quilt projects. This arrangement offers wide diversity. Block patterns and fabric choices can be the same or totally different. Complete instructions guide you through the entire quiltmaking process with ease. With clear directions, accurate templates, and great ideas for quilting, you will have a wonderful time making these quilts.